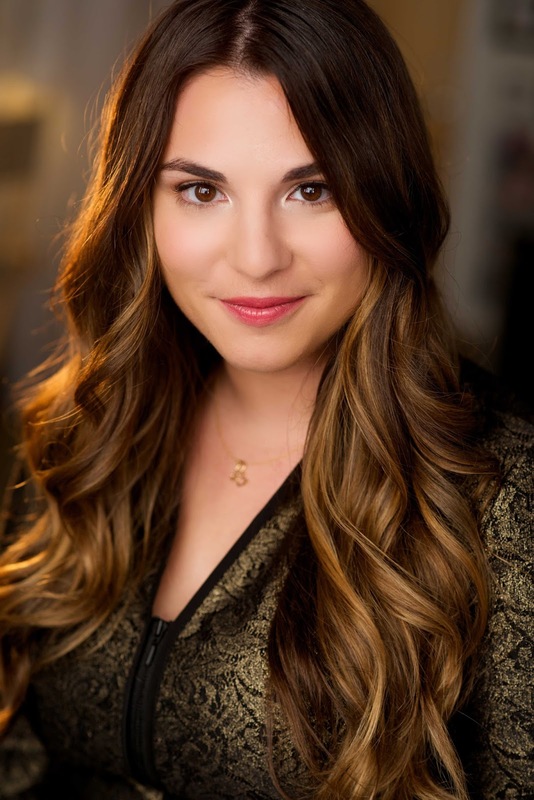 Today I have the honor of hosting #1 NYT Bestseller Victoria Aveyard, author of the fantastic debut RED QUEEN! I met Victoria when she came here in April and after the panel she agreed to do a short interview with me. Please note that since this was an oral interview that I recorded, and since it was super loud, I've done a wee bit of editing, but the essence of the interview is still exactly the same. I also apologize for the fact that it's a little short. It seemed like more questions at the time. Once Upon A Teen Reader : The Silvers in your book have a variety of different powers, is it possible for them to have ANY powers or are they set? Victoria Aveyard: They’re set ones. I have a list of certain ones that the silvers have and then you find out more people who are like Mare. Their powers are expanded. They’re either stronger or they’re totally different and they’re things Silvers have never seen before. That was really fun for me to try and find new powers that I hadn’t already used for Silvers. When I was first planning the book there were a couple of powers I held back and didn’t use with the silvers because I knew I wanted to use those for special people. OUATR: So there are other Reds with electricity powers, it's not just Mare? VA: Yes. We'll find more like her. That’s what book two is, a lot of finding more. OUATR: Are there any Silvers with electricity powers like Mare? VA: Well there are some that the storms that can kind of manipulate it and the weather sort of thing but no one with these powers has ever existed in the silver world. OUATR: Is there a reason that the Silvers have silver blood? VA: Yeah, haha, a lot of people ask me about the science and they’re like “oh, what about hemoglobin and blah blah blah?” I just thought it looked cool and I wanted to write that cause the idea of someone getting punched in the teeth and having a bloody lip that’s silver, that’s cool. And then people come back and they go “well blood oxidizes and it turns this color because of this chemical” and I’m like okay, guess what, why in Harry Potter are they magical? The magic of Star Wars was lost when you started explaining the force so there is a fine line between reality and fiction. OUATR: Are we going to see more of the other kingdoms? VA: Yes, yes. The first book is very narrow in looking at just a certain part of Norta and then the second book is a lot more of Norta and the third book is a lot of different places. I also asked about a map for the book, because at the time there was none, but since then Epic reads has released a map to go along with the novel, which you can find here. Victoria splits her time between her hometown on East Longmeadow, Massachusetts and Los Angeles. After graduating with a BFA in Screenwriting from the University of Southern California, she decided to try her hand at writing a novel. Her debut RED QUEEN came out of the terrifying, unemployed year after college. She's currently revising on the second book in the series, GLASS SWORD, along with pursuing other projects in literature and film. Her proudest achievements include riding a horse in the mountains of Montana and navigating from London to Edinburgh without a GPS. 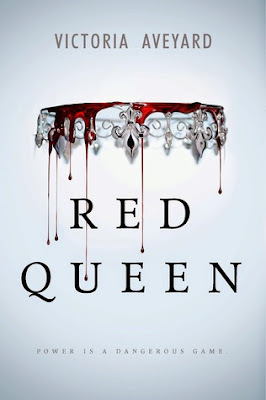 Someone is going to win a signed copy of the fantastic RED QUEEN from my local indie bookstore and all you have to do is enter via the rafflecopter giveaway! International entries are welcome, but please note that it might take some time for me to get the book out to you if you win because I need to actually put some money in my bank account, not just take it out. Oops. Be sure to check back on Friday for the next interview with Sara Raasch, which will include a very special ARC giveaway! Yay! 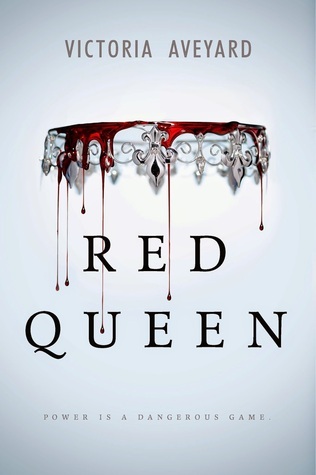 I loved Red Queen, and want Glass Sword to be out now! Wonderful post, Victoria and Anna! Ahhh! I'm so excited to read this book! I can't seem to find it anywhere here in Indiana!! This interview just makes me all the more excited and dedicated to find it! Thanks for your time commitment in this Anna! Loved learning more about Red Queen and I'm definitely looking forward to Glass Sword. Thanks for the giveaway! I've read Red Queen which was awesome and had an amazing plot twist and so I'm really excited to read the novellas and Glass Sword! Awesome interview! Wonderful interview! I can't wait for The Glass Sword! I love her reason for making the Silver's blood silver! Ha! I am so looking forward to The Glass Sword, thanks for the wonderful interview!